Its a rainy weekend and I have no outside commitments on Saturday and no big household projects ready to go. Sounded like a game day to me but what to play? 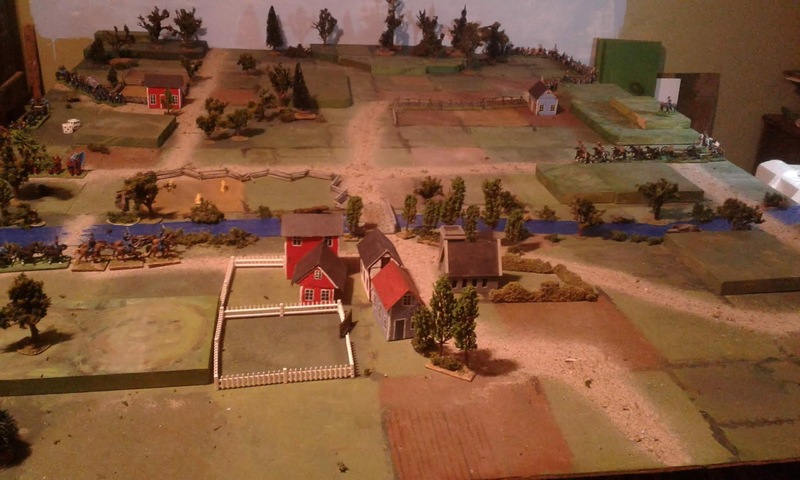 For various reasons I found myself thinking back to my first wargame with the Montreal wargamers, an ACW game using Airfix figures. Well, why not? 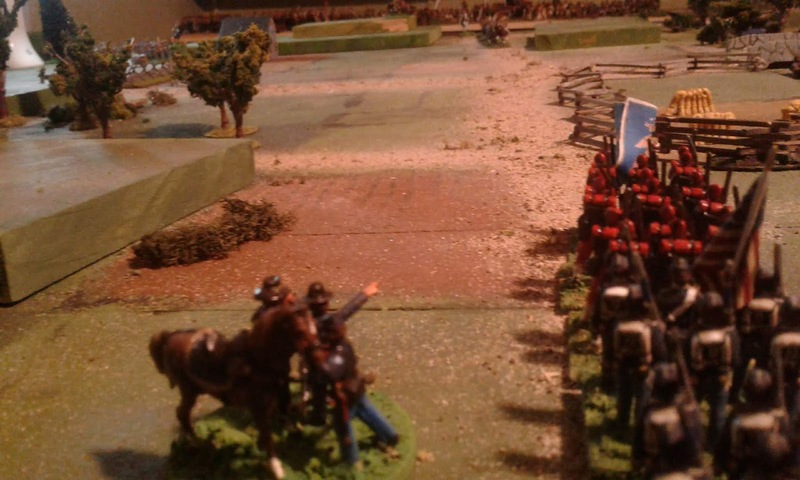 I had a look at the new Plastic Army of the Potomac that I wrote up and tried in July and decided to replace the Rally rule with a basic morale throw based on one in Battles With Model Soldiers. Impromptu terrain for a basic meeting engagement. Your tabletop is looking very effective ready for the game. Thanks, I didn't get around to finishing the painting on it so plan to do so during the winter. Strike them a blow Kinch! He always does, not always a KO but always a stout effort. I was about to say, and not a hex or square in sight, when I spotted how you have neatly camouflaged the squares. A really effective looking table. And Airfix figures too. Looking forward to a battle report. Very effective battlefield as usual. Had a few battles with Airfix over the years - even had a load of ACW figures at one time. I was surprised when this come back occurred. Darn you, sir! I was ready to start a new project, inspired by your 40mm figures, then you bring up Airfix ACW, and now I'm thinking of my Airfix ACW! I am, however, looking forward to the battle report. I especially love the first photograph.